Get help paying for your wedding with online donations. 1 How Do I RSVP on TheKnot.Com? While having the wedding of your dreams is a joyous prospect, the stress of affording the actual ceremony may be overwhelming. Weddings typically cost anywhere between $15,000 and $30,000. If you find yourself struggling to afford your wedding, therefore, you might consider asking for donations online to help pay for it. 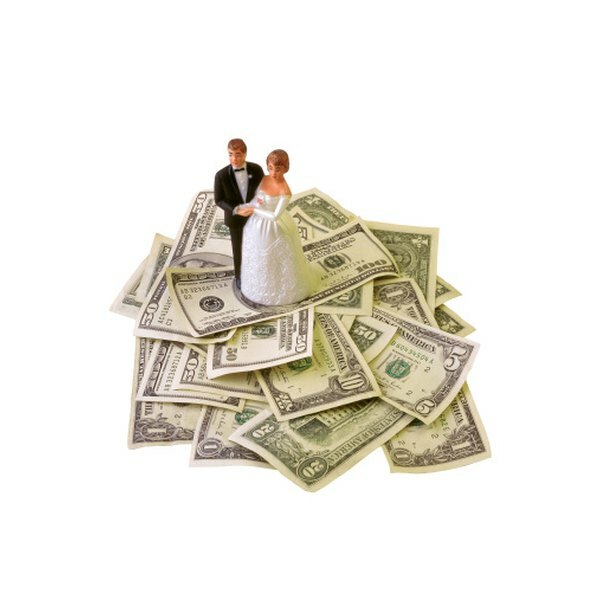 There are several ways to go about earning the money for your dream wedding. Create a donation button which will direct online visitors to a place where they may donate money using a major credit card or PayPal account. PayPal, for instance, offers a donation button that is easy to display on blogs and websites. Create a personal website where you will display your donation button. On the website, include information on your current financial situation, why you need the money, how much you are hoping to earn as well as a background on your fiance and yourself. Using your website builder, you will be able to easily display the donation button on your website and accept donations. Include a page with various wedding plans so the people who donate can keep up with the status of your wedding. Create a wedding blog in which to display your donation button. Blogs are free to make and have user-friendly interfaces. The blog may be focused on the financial straits that have led you to seek out donations or it may simply be a wedding planning blog with a button displayed for optional donations. Another way to accept donations is to display contact information that allows friends and family to e-mail you for instructions on how to send donations by check. Market your website and blog on the Internet through various social networking sites. Sites like Facebook and Twitter allow you to announce your request for donations and post links to your website and blog for further information. Add your website and blog links to your e-mail signature. You can also add your links to your message board signatures if the message board admin allows links. Avoid incessant begging and spamming on message boards. Ask for approval before displaying your links. Avoid soliciting donations from people you do not know personally.